What an incredibly simple start. 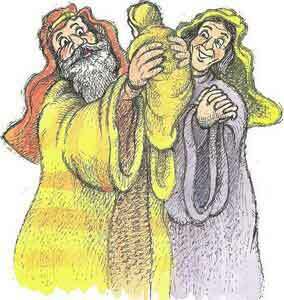 After the mess of Genesis 3-11, God finds the best solution: an elderly childless couple! Abraham and Sarah become the start of God’s rescue plan for creation. They are blessed in order to be a blessing to others. God promised a son to Abraham and Sarah. They wait, and wait, and wait, and wait. They try their own shortcut and fail. But eventually their son Isaac is born. Eventually after centuries of waiting his offspring will be Jesus, the truest blessing for all. We so often seek blessing only for ourselves. But God showers us with generous blessings, so that we can be blessings to others. How have you been a blessing to others? Lord Jesus, make me into a blessing for others today. This entry was posted in Beginnings, Bible, story, trust, Uncategorized and tagged Abraham, blessing, Genesis 12:2, Isaac, Sarah on September 14, 2011 by Pastor John Keller.